Red diamonds are the most rare of all colours, and as such sit at the very top of the value scale. They represent one of the most sought after hues in any fancy colour diamond collection, mainly because they are so rarely available. Prices for red diamonds start at seven figures per carat. The prices of red diamonds are hard to compare since there dramatic differences between them – even with the same certificate two purplish red diamonds can be in completely different price levels – based on how red is the diamond is, how bright or dark the tone, and the amount of any secondary colours present. Red diamonds with no secondary hue are so rare, that GIA records show that over a 30 year period from 1957 to 1987 there was no mention of a GIA lab report issued for a diamond with ‘red’ as the only descriptive term. In addition, there have been less than 400 diamonds that have been graded by GIA weighing more than half a carat. There is only one factor to understanding the colour of red diamonds: Hue. Hue is the dominant colour of the diamond; saturation is the strength of hue; tone is the amount of light or darkness in the diamond. The more intense the colour, the rarer and more valuable the diamond. Red diamonds can be modified by purple, orange or brown. This 0.76 ct diamond from the Argyle Mine in Australia is a purplish red. The 5.11 ct Fancy Moussiaf Red. 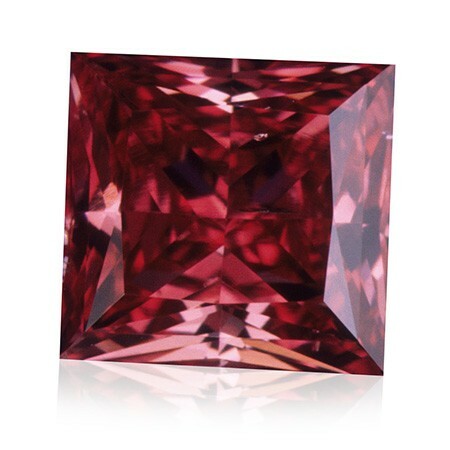 Most other reddish diamonds are ‘cooler’ in appearance and termed purplish red. Courtesy of William Goldberg Diamond Corp. 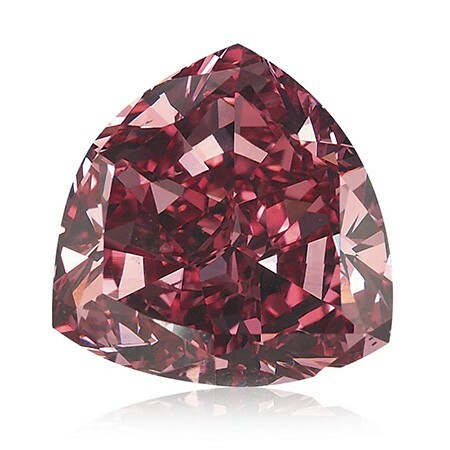 The Hancock Red is one of the most famous red diamonds. At the time of its sale in 1987 it was the most expensive per-carat gemstone ever sold at auction. The hammer came down at $880,000—a remarkable $926,315 per carat, eight times its pre-sale estimate. The publicity generated by the selling price of the Hancock Red and other significant fancy colored diamonds at auction spurred interest in these rare stones around the world at the time. 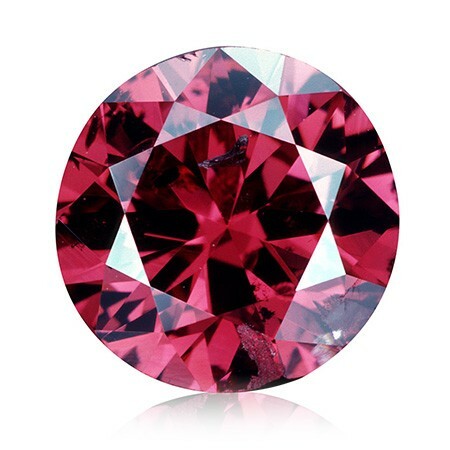 It Is important to note that fancy reds do not have a saturation level (for example ‘intense’ or ‘vivid’), as they represent the greatest level of colour in the pink diamond family – there is no greater saturation possible. In addition, they do not get very large in size, with the 5.11 carat Moussiaf Red shield being the largest known red diamond in history.